 Learn What Sagittarius May And May Not Do This May! Your daily routine is very likely to suffer from the relaxing influence of May! You may become lazier and indulge in the pleasures you’ve been denying yourself. But the most amazing thing is that you needn’t feel guilty about it! Now is the time to pamper yourself, to buy new clothes, to ties loose ends instead of starting ambitious projects. May 2018 will also endow you with a secret superpower – the gift of persuasion and clear thinking. Use it to achieve as much as you can while it lasts! And by all means, avoid conflict, no matter how unimportant it seems. Simply walk away or settle for a compromise. New romantic opportunities for Sagittarius.